Gold Filled 5% 12K Round Wire 0.3mm, soft. Please be aware that additional charges may be applie..
Gold Filled 5% 12K Round Wire 0.4mm. Please be aware that additional charges may be applied for ..
Gold Filled 5% 12K Round Wire 0.6mm. Please be aware that additional charges may be applied for ..
Gold Filled 5% 12K Round Wire 0.9mm. Please be aware that additional charges may be applied for ..
Gold Filled 5% 12K Round Wire 1.0mm. ..
Gold Filled 5% 12K Round Wire 1.2mm. Please be aware that additional charges may be applied for ..
Gold Filled 5% 12K Round Wire 1.3mm. Please be aware that additional charges may be applied for ..
Gold Filled 5% 12K Round Wire 1.5mm. 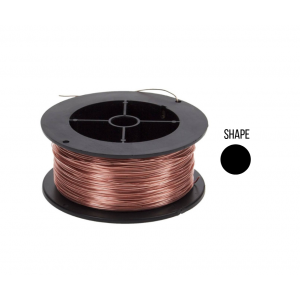 Please be aware that additional charges may be applied for ..
Gold Filled 5% 12K Round Wire 2.0mm. Please be aware that additional charges may be applie..
Gold Filled 5%12K Round Wire 0.5mm. Please be aware that additional charges may be applied for m..
Red Gold Filled 5% 12K Round Wire 0.3mm. Please be aware that additional charges may be applied ..
Red Gold Filled 5% 12K Round Wire 0.4mm. Please be aware that additional charges may be applied ..
Red Gold Filled 5% 12K Round Wire 0.5mm. Please be aware that additional charges may be applied ..
Red Gold Filled 5% 12K Round Wire 0.6mm. Please be aware that additional charges may be applied ..